The state of Uttar Pradesh has been reeling under hot weather conditions. 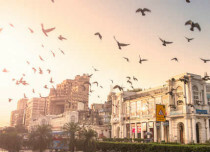 Isolated pockets of West Uttar Pradesh such as Meerut and Moradabad did witness patchy pre-Monsoon activities, but they had no effect on the temperature profile. The intensity of showers has increased since the last two days. 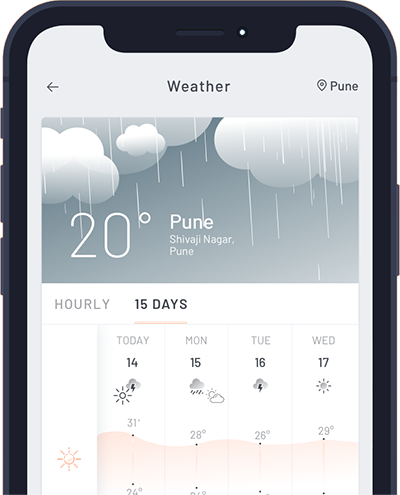 Thus, in the last 24 hours from 8:30 am on Tuesday, Meerut recorded moderate intensity rain to the tune of 23 mm and Moradabad recorded 6 mm of rains. 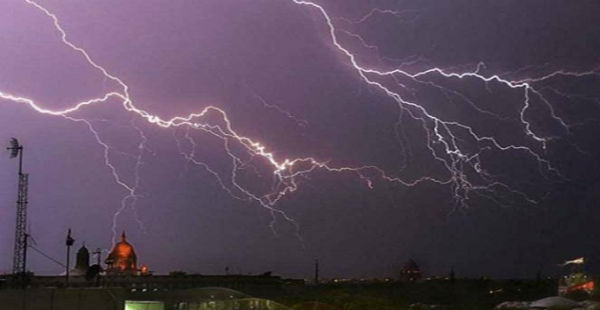 As per Skymet Weather, few spells of rain and thundershowers are likely to occur in parts of Auraiya, Badaun, Bahraich, Balrampur, Bara Banki, Bareilly, Etah, Etawah, Farrukhabad, Gonda, Hardoi, Kannauj, Kanpur Dehat, Kanpur Nagar, Kanshiram Nagar, Kheri, Lucknow, Mainpuri, Pilibhit, Shahjahanpur, Allahabad, Varanasi, Shrawasti, Sitapur and Unnao districts of Uttar Pradesh today. These showers are expected to continue for the further next 24 hours. Along with pre-Monsoon rains, strong gusty winds would also be accompanied. 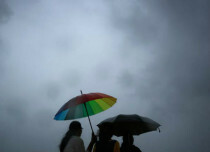 The sky conditions would be cloudy to partly cloudy in most districts of Uttar Pradesh. These rains will be attributed to a trough which is extending from Punjab to Interior Odisha across Uttar Pradesh. Moreover, a feeble cyclonic circulation is also persisting over Southwest Uttar Pradesh which would further enhance rains. In wake of these rains, the maximum temperatures are expected to fall by a few degrees. In fact, a marginal drop in night temperatures is also likely. Therefore, there will be some relief from the prevailing harsh weather in terms of heat in the state of Uttar Pradesh during the next 24 hours.